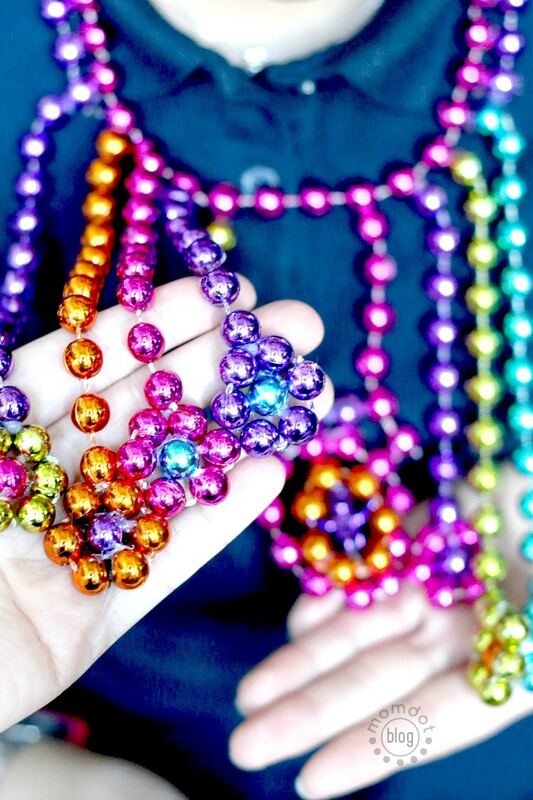 Mardi Gras is coming up on us fast and because my husband is in a krewe, our house is full of beads year round. This year I have been making sure I take advantage of these beautiful beads and have been creating fun projects with them. 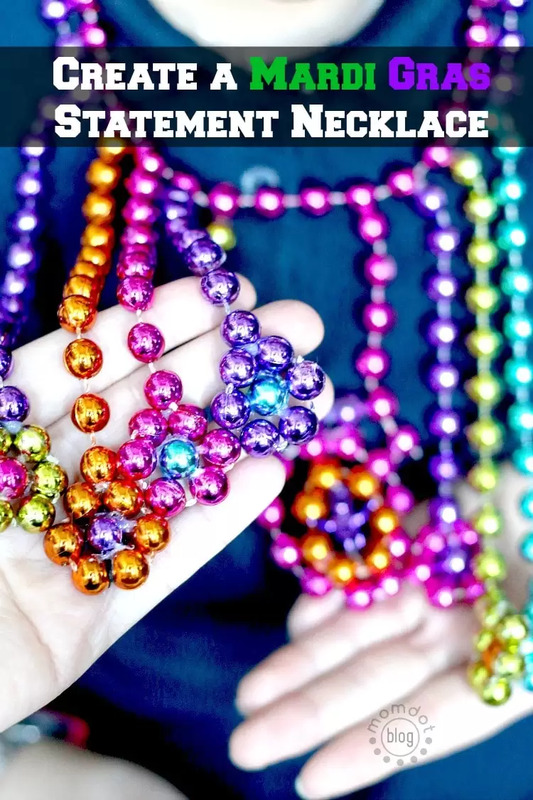 There is so much you can do from wreaths, to slime, jars, to decor, when it comes to repurposing beads. 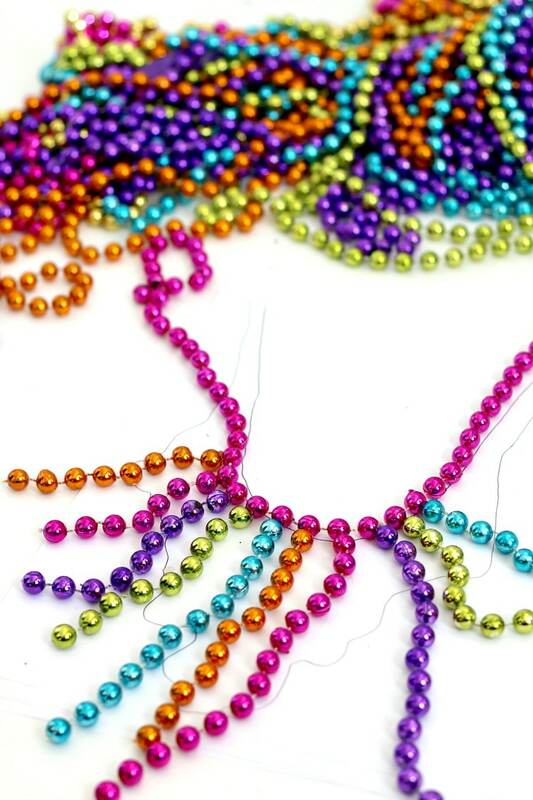 But beads are also beautiful for what they are intended for – wearing. You can easily wrap them to create larger “statement” necklaces or take apart, like I show you below, to create custom shapes and sizes as well. 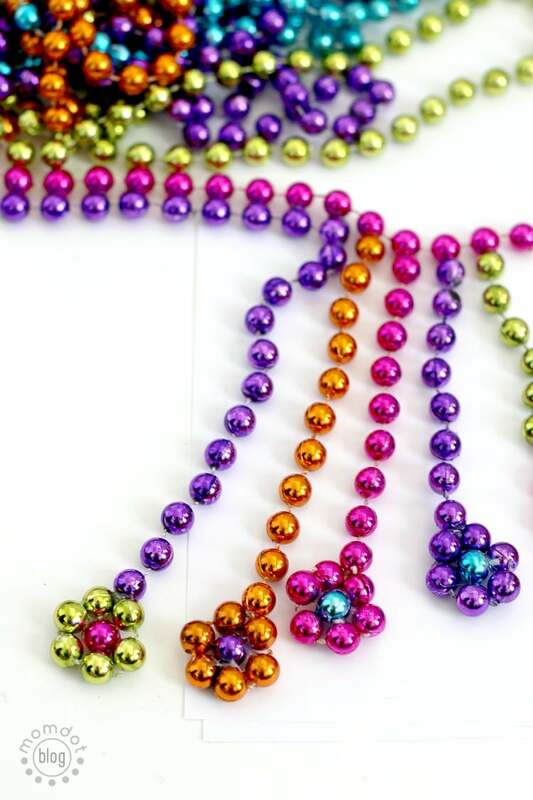 For the purpose of this “repurposing” we are recreating a shape from regular beads! And trust me, it’s easy. The first thing I decided was to work on the new shape of the necklace. Because I have a statement necklace I love already, I grabbed that and traced an “outline” to give me something to go on. I decided to start with shorter beads in the middle, adding a bead to each string till it reached the outside of the necklace. In the second image you can start to see the sizing and originally I first put on a ton of strings (by cutting off one necklace and hot gluing) but once it started to take shape, I cut them down till I had shape I liked. I actually put together and took apart my design many times, which is sorta the fun of hot glue. It peels off so easily once try that I wasn’t worried about making mistakes. 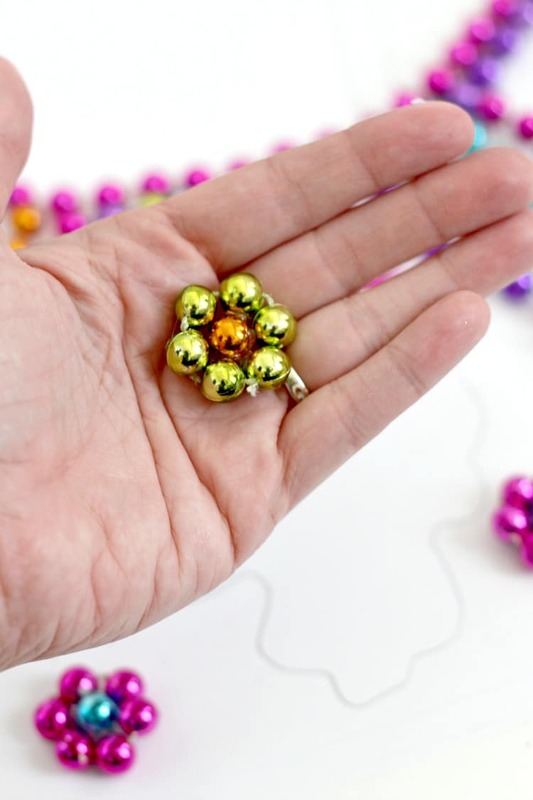 To create flowers, which I added on the ends of my strings, you simply cut down to 6 beads, add one bead in middle and then wrap around the center bead and hot glue. 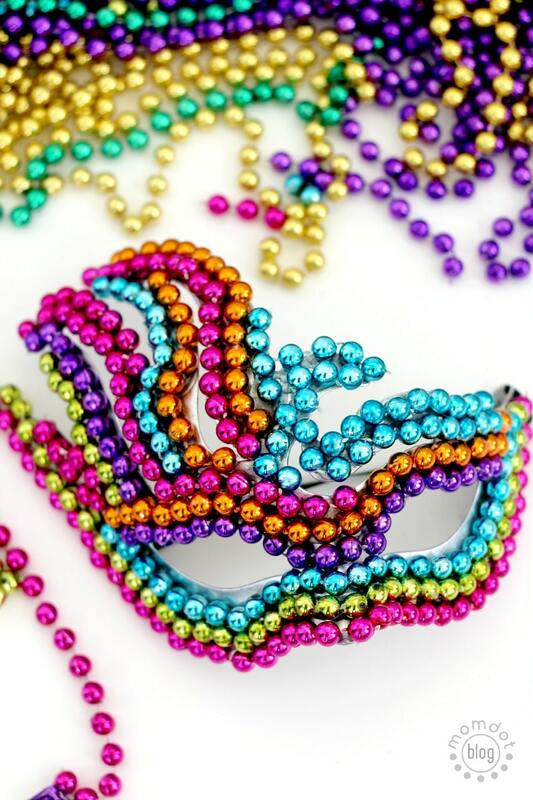 Really this project can be altered to create nearly any shape or color pattern that you love and is perfect to wear to a Mardi Gras parade or ball! 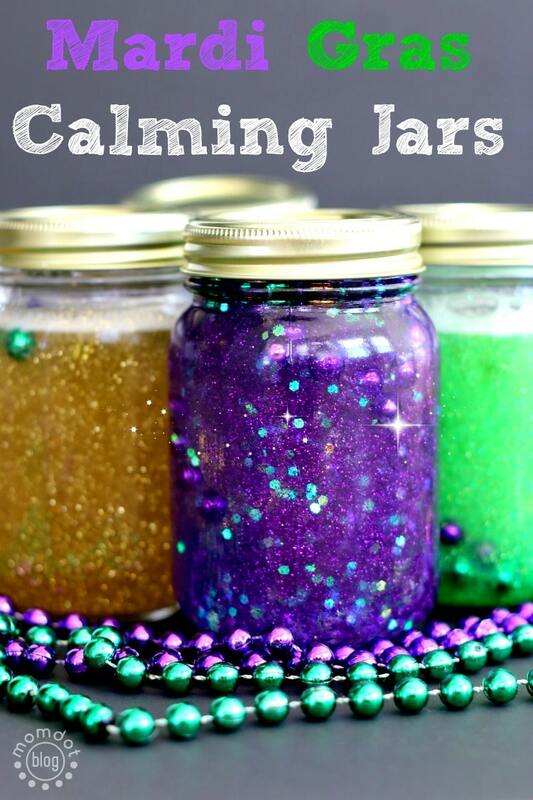 Want to see more Mardi Gras Crafts? Check out below! 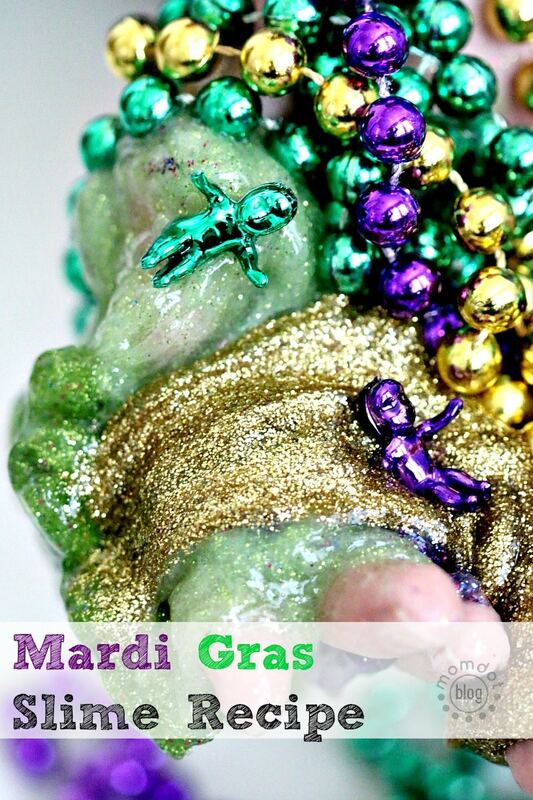 Or follow my Pinterest board which is all about Mardi Gras Crafts! « Fairy Jar Tutorial: DIY and Capture a fairy!